Explanation: This year's El Niño is the strongest ever recorded. 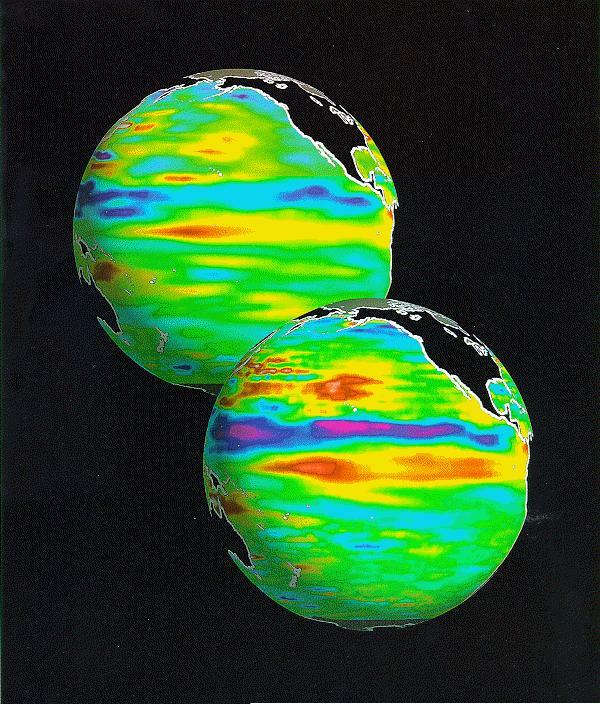 The large amount of warm water in the Pacific Ocean near the equator is causing unusual weather all over planet Earth. 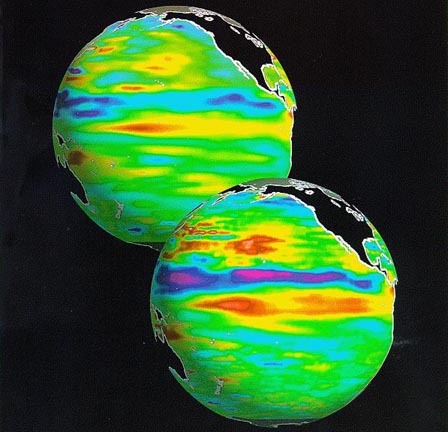 The above false-color images of Earth show the relative levels of warm water between normal (upper left) and the comparatively mild El Niño of 1995 - 1996. Red indicates a high water level. Detailed measurements of this years El Niño indicate the warm water level is rising and falling in rhythmic fashion, possibly in response to changing wind patterns.